At the Arctic Centre of the University of Groningen, I have collegues studying historical sites. Inspired by the project LASHIPA and the research of Ricardo Roura on deterioration of historic sites, I develop a smal project. 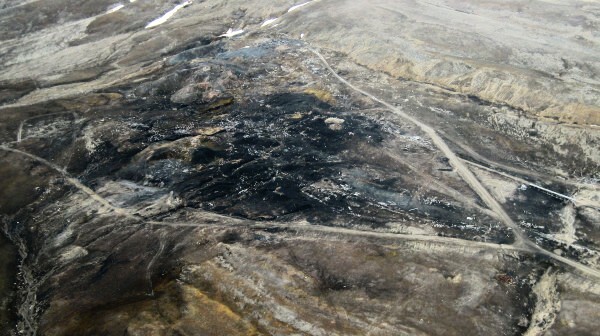 Southeast of the village of Ny-Ålesund, the old mining area is a historic site. 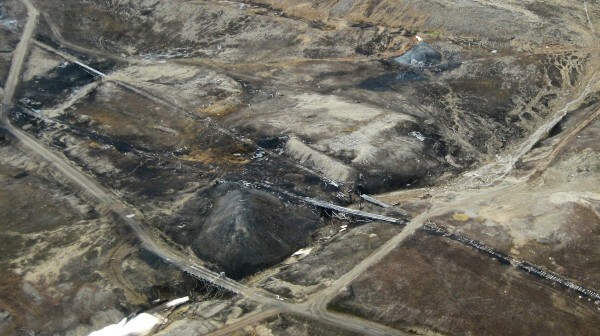 At first glance it looks like a real mess, but all this garbage tells the story of the mining period. 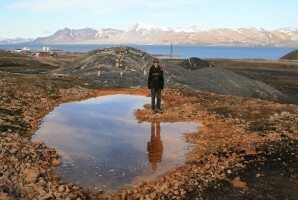 In 2004 a report was made by the Governor of Svalbard about this site. Many pictures were taken and this year I have tried to find the locations of these pictures, to compare for any change. Next entry will show the situatie of 21 localities in 2008 and 2004. 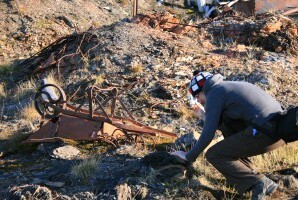 The first day, I am searching together with Anouck Vrouwe, a free-lance science journalist who is gathering stories. She has spend some time in Germany and knows a German word for this kind of activity: Schnitzeljagd. We manage to find more than half of the locations, but I need an extra trip to find all. Together with Janwillem, I return three days later and we complete the quest. On 14 August, we depart by plane from Ny-Ålesund and I am able to shoot two areal pictures from the most recent mining locations. 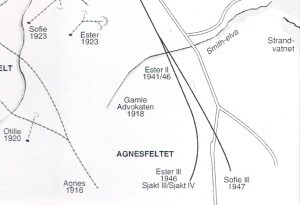 On the picture to the left, you can see the triangular area on the onderzijde right corner of the map with the mine Sofie III from 1947. The picture above is the area of Esther II 1941/1946. You can see the two bridges of the train track and the one bridge over the road. The latter bridge has the toilet of the camp ground above the Smith river.